Mutual funds have a long history of underperformance vs. the overall stock market indices. To make matters worse, they also charge exorbitant fees for all kinds of standard business expenses. It’s no wonder that with the surge in online brokers and online innovators, that someone would come along and create a better way to service individuals who want the benefits of a mutual fund but don’t want to pay for the high cost of management as the fund underperforms the overall market. Enter a new company that is changing the game when it comes to investing in funds whose name is Betterment. Betterment is a budding company that wants to make it easy and affordable to invest in stocks and bonds while making good returns and minimizing fees. 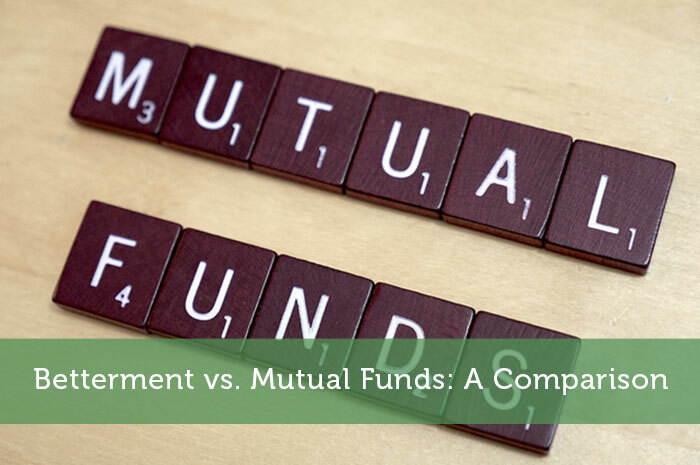 What follows is a comparison between Betterment and a standard mutual fund. I think that you too will clearly see why Betterment has raised the standards for investing. Mutual Funds have now been around long enough to critique. Since their inception, historic returns for almost all of them have underperformed the overall market. There are a few that consistently outperform the market but they are hard to find or are closed to new investors. To make matters worse, when you subtract the fees from the already lower returns, you almost end up with no gains whatsoever. What fees am I referring to? How about management fees that can run you 1-2% of your total account balance per year regardless of if your account goes up or down in value. Then there are load fees which can be a 1% fee just to get into the game. That’s right, this is charged just for opening an account and it’s 1%! If you finally do decide to move your money somewhere else, there are sometimes account closure fees. By the time everything is said and done, you can watch a 4% gain in the fund have no effect on your account balance. All the gains went towards paying fees! If that’s not bad enough, many funds are not totally diversified and are sector based or stock behavior based like growth or value funds. These funds are somewhat diversified but not as good as they could be. Oh, and one last thing, you’ll need a lot of money to open an account. This can sometimes be $1,000, $5,000 or $10,000 depending on the fund. Betterment gives you diversity by giving you access to 12 asset classes that are varied across funds that hold diversified ETF’s. In addition, you can own a mix of stocks and bonds all in one place. Besides access to US based companies, Betterment also offers funds with exposure to both international and emerging markets. Best of all you can start an account with them for as little as $100 per month. Their fees are very small and range from .35% to .15% depending on your account balance. With all these features, it’s impossible to not outperform most mutual funds. After reviewing a side by side comparison of each service, including fees, performance and diversification, it’s clear that Betterment is the winner. Even if the returns were exactly the same, the savings in fees alone would make Betterment stand out for its total returns including fees. Take some time to research this company for yourself. I think that you’ll like what you find. Would the battle change if it was Vanguard Mutual Fund’s? Since the fees would be much lower. Well its good to know that a new found company called betterment will help people to fulfill their dreams, since most of the people lacks market knowledge, due to which they end up paying unnecessary cost on many formalities. Hope this co. won’t charge any extra vent fees for sharing valuable information related to market. I love Betterment! It’s easy to use and understand, and it really takes the guesswork out of investing for me. I really like the concept of betterment, essentially it takes the index funds from vanguard and bundles them together, while allowing the user to decide on a sliding scale how aggressive they want to be. Isn’t the .15% to .35% fee in addition to the mutual fund fees charged by vanguard for those individual funds? Even if it is the index fund fees are quite small. The only thing I don’t like about betterment is the small percentage it invests in mid cap and small cap domestic index funds, (about 5% each at 100% stock allocation). If I were using betterment I would have a separate account to allow a higher total percentage in these funds. Mutual Funds/ETFs, despite fees and under-performance of some, are not bad to use in order to invest in things that are hard to invest in otherwise. For example.. I can buy an ETF focused on the Thai stock market, which would be impossible just by buying off the NYSE/NASDAQ. Excellent comparison. I believe betterment involves additional fees on top of expense ratios. I would recommend going for low cost options. Wow, I’m really going to have to check out this Betterment company. My parents had me get involved in investing in Mutual funds, when I was very young but I was always well aware of the fees involved. This seems like it can really move things along in a more positive direction, for those of us that are interested in a more user friendly experience in the mutual fund market.